On Monday, April 15, 2019, the Electoral Boundaries Commission released its final report. Elections Nova Scotia is currently recruiting qualified candidates for the challenging and rewarding role of returning officer. 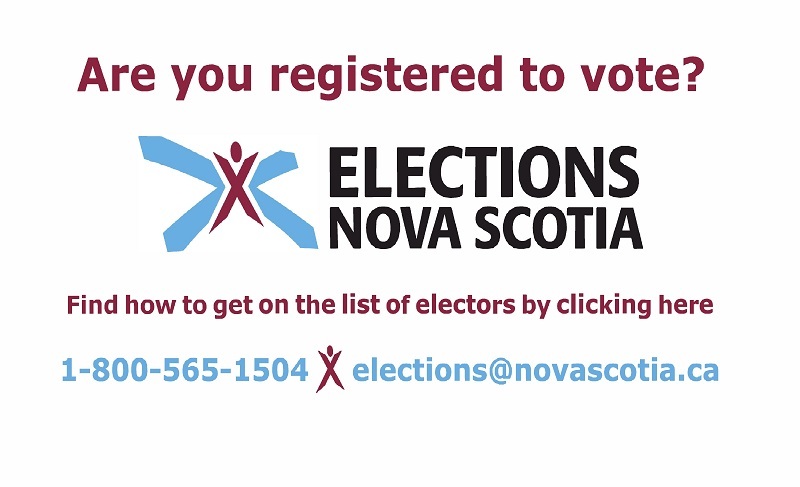 Information regarding the upcoming Sackville-Cobequid by-election will be posted here. The writ for the Sackville-Cobequid electoral district has not yet been issued. How do I get on the voter's list?